Dr. Saewyc is an internationally recognized leader in research about vulnerable and marginalized adolescents. 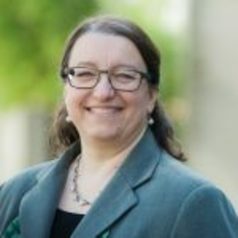 Over the past 20 years, she has conducted mix-methods research with many different groups of vulnerable youth, including runaway and street-involved youth; sexually abused and sexually exploited teens; lesbian, gay, bisexual, transgender, Two Spirit, queer and questioning (LGBTQ) adolescents; youth in custody; immigrants, home-stay students and refugees; and Indigenous youth. Her research emphasizes how stigma, violence, and trauma affect adolescent health and risk behaviours, as well as the protective factors that foster resilience among these vulnerable populations of youth. Her research has influenced public health and policy in Canada, the US, and internationally. She also led SARAVYC in conducting the first Canadian national health survey of transgender youth in 2014, which has influenced clinical practice, human rights cases, and laws. She has been an invited expert for national and international working groups. Dr. Saewyc held a CIHR Applied Public Health Chair (2008-2014), and has been named a Fellow in the Society for Adolescent Health & Medicine (2011), the Canadian Academy of Health Sciences (2013) and the American Academy of Nursing (2016). In 2013-2014, she served as 1 of 5 lead authors on the World Health Organization’s report, Health for the World’s Adolescents.